Whether you prefer tights, leggings or pants, the flexible split cuff on the Helyn bootie means your bottoms can seamlessly tuck in. The layered heel is a fitting grounder to the Western-influenced bootie. With its super-wide legs, heathered look, and great drape, the Sutra could be a karate pant from the future. It is definitely a favorite among yogis because of its breathability, limitless movement, and mindful use of hemp and PET. Lightweight stretch hemp fabric. Inseam gusset. New front pockets with stitch detail. Drawstring waist. Inseam: 32.5. Loose Fit. 53 percent Hemp, 44 percent PET, 3 percent Lycra Spandex. Machine wash cold, tumble dry low. Made in the U.S.A. and Imported. Measurements: Waist Measurement: 32 in Outseam: 43 in Inseam: 33 in Front Rise: 12 in Back Rise: 17 in Leg Opening: 20 in Product measurements were taken using size MD, inseam 32. Please note that measurements may vary by size. Head to the high ground and check out your favorite boulder garden in the durable Backcountry Short. Regular fit has a modern cut that is shaped to skim the body. Lightweight Supplex nylon resists wrinkles and odors. The laundered fabric has a soft hand for all-day comfort. UPF 50+ fabrication protects your skin during outdoor activity by blocking harmful Ultraviolet A and Ultraviolet B rays (UVA and UVB). Belt loop waistband with rear button tab adjustability. Zip fly and button closure. Double seat reinforces the site of most wear. Inseam gusset allows a wider range of movement. Zip pocket stacked on slant hand pocket at left. Hook-and-loop pocket stacked on slant hand pocket at right. Two rear hook-and-loop pockets. 100 percent Supplex nylon. Machine wash cold, tumble dry low. Imported. Measurements: Waist Measurement: 27 in Outseam: 13 in Inseam: 5 in Front Rise: 8 in Back Rise: 12 in Leg Opening: 22 in Product measurements were taken using size 2, inseam 5. Please note that measurements may vary by size. Head to the high ground and check out your favorite boulder garden in the durable Backcountry Short. Relaxed fit is a generous, full cut for ultimate comfort and unrestricted mobility. Lightweight Supplex nylon resists wrinkles and odors. The laundered fabric has a soft hand for all-day comfort. UPF 50+ fabrication protects your skin during outdoor activity by blocking harmful Ultraviolet A and Ultraviolet B rays (UVA and UVB). Elastic waist with attached, adjustable belt for a dialed-in fit. Zip fly and button closure. Double seat reinforces the site of most wear. Inseam gusset allows a wider range of movement. Two slant hand pockets. Two rear slant pockets with hook-and-loop closures. 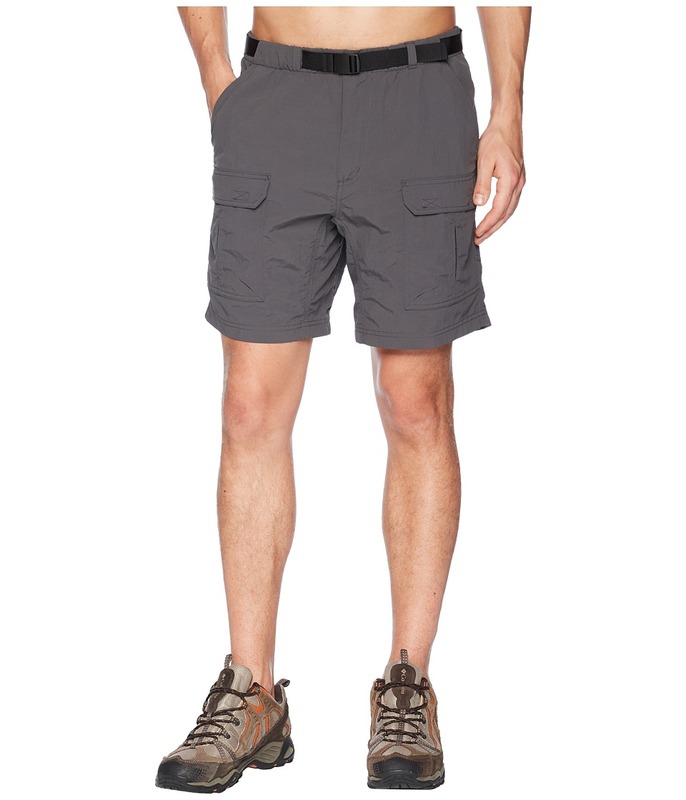 Hook-and-loop cargo pockets. 100 percent Supplex nylon. Machine wash cold, tumble dry low. Imported. Measurements: Waist Measurement: 28 in Outseam: 18 in Inseam: 8 in Front Rise: 10 in Back Rise: 16 in Leg Opening: 24 in Product measurements were taken using size MD, inseam 8. Please note that measurements may vary by size. Feel like a pro in this CW-X tight regardless of whether you~re just getting back into shape or competing in a marathon. The Support Web provides targeted support to the lower back, core, knee joints and surrounding muscles for greater stability and power. Coolmax fabric moves perspiration away from the body and through the fabric for rapid evaporation and cooling. Four-way stretch fabric enhances comfort and allows wider range of movement. UPF 50+ fabrication protects your skin during outdoor activity by blocking harmful Ultraviolet A and Ultraviolet B rays (UVA and UVB). Elastic waist with interior drawstring provides a secure fit. Interior key/card pocket allows small storage. Targeted variable compression increases circulation and venous return to minimize lactic acid build-up and muscle soreness. Flat seam construction reduces chafing and increases comfort. Reflective logo provides increased visibility in low-light conditions. 80 percent Coolmax polyester, 20 percent Lycra spandex. Machine wash warm, line dry. Imported. Measurements: Waist Measurement: 26 in Outseam: 36 in Inseam: 26 in Front Rise: 10 in Back Rise: 13 in Leg Opening: 7 in Product measurements were taken using size MD, inseam 26. Please note that measurements may vary by size. Feel like a pro in this CW-X short regardless of whether you~re just getting back into shape or competing in a marathon. Fitted cut keeps everything tight to the body for maximum support during high-performance activity. Two-way stretch Tuned Conditioning Web offers a fabric exoskeleton that supports specific muscles and joints in the leg. Four-way stretch body fabric helps keep the body dry by pulling moisture away and carrying it to the outside of the tight. The Support Web provides targeted support to the lower back, core, knee joints and surrounding muscles for greater stability and power. Elastic waist with interior drawstring provides a comfortable and secure fit. Flat seam construction reduces chafing and increases comfort. Reflective logo provides increased visibility in low-light conditions. Body: 80 percent Coolmax polyester, 20 percent Lycra spandex. Support Panel: 80 percent nylon, 20 percent Lycra spandex. Machine wash cold, line dry in shade. Imported. Measurements: Waist Measurement: 28 in Outseam: 19 in Inseam: 13 in Front Rise: 10 1 2 in Back Rise: 13 in Leg Opening: 13 in Product measurements were taken using size MD, inseam 13. Please note that measurements may vary by size. You may not know everything about training, but in this sleek CW-X tight, people will easily mistake you for an expert! Coolmax fabric moves perspiration away from the body and through the fabric for rapid evaporation and cooling. UPF 40+ fabrication protects your skin during outdoor activity by blocking harmful Ultraviolet A and Ultraviolet B rays (UVA and UVB). The Support Web provides targeted support to the lower back, core, knee joints and surrounding muscles for greater stability and power. 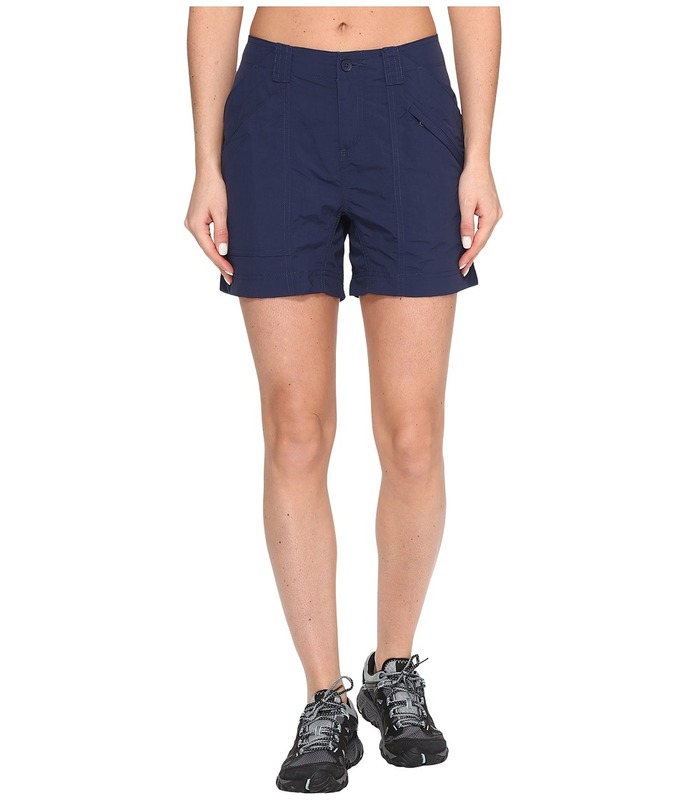 Double-reinforced waist with interior drawstring provides a secure fit. Internal key pocket provides storage for small items. Flat seam construction reduces chafing and increases comfort. Reflective logos provide increased visibility in low-light conditions. 80 percent Coolmax polyester, 20 percent Lycra spandex. Machine wash warm, line dry. Imported. Measurements: Waist Measurement: 26 in Outseam: 34 in Inseam: 26 in Front Rise: 10 in Back Rise: 13 in Leg Opening: 7 in Product measurements were taken using size MD, inseam 26. Please note that measurements may vary by size. You can~t perform at your peak without a stable foundation. Slip into the Stabilyx Tight and you~re ready to excel. 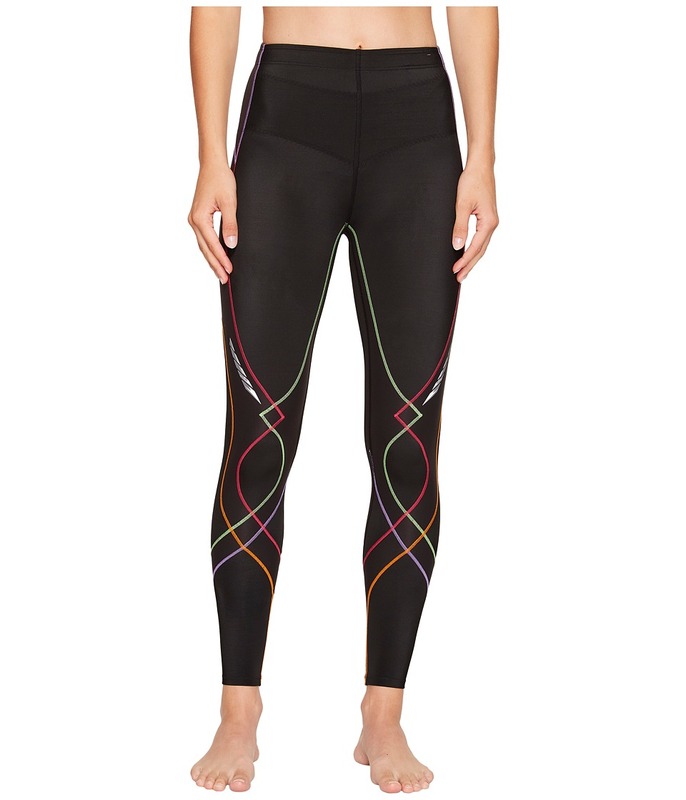 The women~s specific design and pattern allows the tight to better fit the female body. The Support Web provides targeted support to the lower back, core, knee joints and surrounding muscles for greater stability and power. Coolmax fabric moves perspiration away from the body and through the fabric for rapid evaporation and cooling. Lycra spandex provides muscle support and four-way stretch for a wider range of movement. UPF 50+ fabrication protects your skin during outdoor activity by blocking harmful Ultraviolet A and Ultraviolet B rays (UVA and UVB). Reinforced elastic waist with interior drawstring provides a secure fit. Abdominal support panel stabilizes the lower abdominal muscles. Interior key pocket provides storage for small items. Flatlock seams reduce chafing and increase comfort. Reflective elements provide increased visibility in low-light conditions. 80 percent Coolmax polyester, 20 percent Lycra spandex. Machine wash cold, line dry. Imported. Measurements: Waist Measurement: 24 in Outseam: 32 in Inseam: 24 in Front Rise: 9 1 2 in Back Rise: 12 1 2 in Leg Opening: 7 in Product measurements were taken using size SM, inseam 24. Please note that measurements may vary by size. You have an appetite for running. Go eat up some miles in the sleek Pro 3/4 Tight. Gender-specific anatomic construction delivers a better fit and increased comfort. Coolmax fabric moves perspiration away from the body and through the fabric for rapid evaporation and cooling. Lycra spandex provides muscle support and four-way stretch for a wider range of movement. UPF 50+ fabric helps protect your skin during outdoor activity by blocking harmful Ultraviolet A and Ultraviolet B rays (UVA and UVB). The Support Web provides targeted support to the lower back, core, knee joints and surrounding muscles for greater stability and power. Double-reinforced waist with interior drawstring provides a secure fit. Abdominal support panel provides extra core support. Interior key pocket allows storage of small items. Flat seam construction reduces chafing and increases comfort. Reflective elements increase visibility in low-light conditions. Body: 80 percent Coolmax polyester, 20 percent Lycra spandex. Support Panel: 80 percent nylon, 20 percent Lycra spandex. Machine wash warm, line dry. Imported. Measurements: Waist Measurement: 22 in Outseam: 27 in Inseam: 18 in Front Rise: 10 in Back Rise: 14 in Leg Opening: 10 in Product measurements were taken using size SM, inseam 18. Please note that measurements may vary by size. The Pro Short will make you feel like a pro whether you~re conditioning or running a marathon. Gender-specific anatomic construction delivers a better fit and increased comfort. Coolmax fabric moves perspiration away from the body and through the fabric for rapid evaporation and cooling. Lycra spandex provides muscle support and four-way stretch for a wider range of movement. UPF 40+ fabrication protects your skin during outdoor activity by blocking harmful Ultraviolet A and Ultraviolet B rays (UVA and UVB). The Support Web provides targeted support to the lower back, core, knee joints and surrounding muscles for greater stability and power. Double-reinforced waist with interior drawstring provides a secure fit. Abdominal support panel provides additional support. Interior key pocket allows the storage of small items. Flat seam construction reduces chafing and increases comfort. Reflective elements provide increased visibility in low-light conditions. Body: 80 percent Coolmax polyester, 20 percent Lycra spandex. Support Panel: 80 percent nylon, 20 percent Lycra spandex. Machine wash warm, line dry. Imported. Measurements: Waist Measurement: 23 1 2 in Outseam: 18 in Inseam: 10 in Front Rise: 9 1 2 in Back Rise: 12 in Leg Opening: 12 in Product measurements were taken using size SM, inseam 10. Please note that measurements may vary by size. 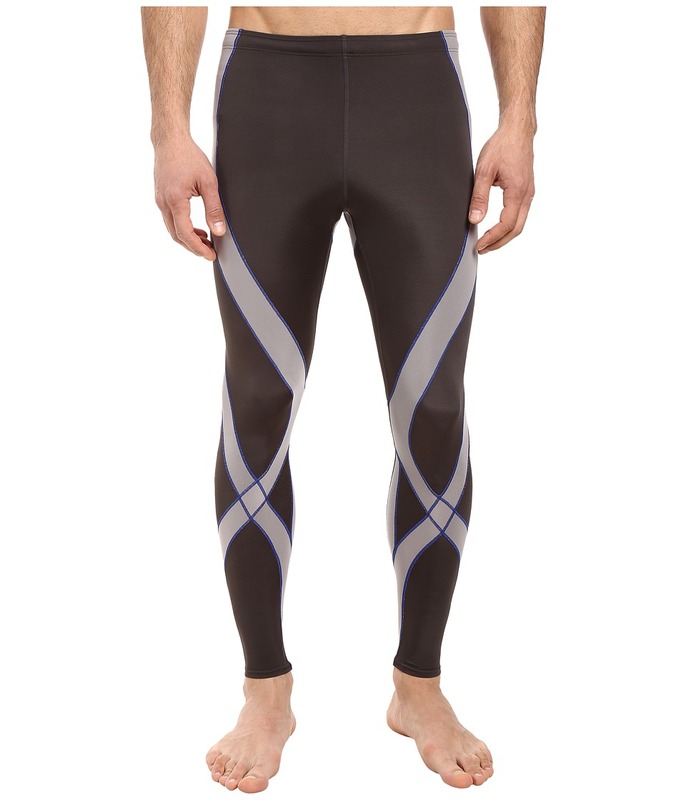 You may not know everything about training, but in this sleek CW-X tight, people will easily mistake you for an expert! Coolmax fabric moves perspiration away from the body and through the fabric for rapid evaporation and cooling. UPF 40+ fabrication protects your skin during outdoor activity by blocking harmful Ultraviolet A and Ultraviolet B rays (UVA and UVB). The Support Web provides targeted support to the lower back, core, knee joints and surrounding muscles for greater stability and power. Double-reinforced waist with interior drawstring provides a secure fit. Internal key pocket provides storage of small items. Flat seam construction reduces chafing and increases comfort. Reflective elements provide increased visibility in low-light conditions. 80 percent Coolmax polyester, 20 percent Lycra spandex. Machine wash warm, line dry. Imported. Measurements: Waist Measurement: 27 in Outseam: 33 in Inseam: 25 in Front Rise: 10 in Back Rise: 13 in Leg Opening: 7 in Product measurements were taken using size MD, inseam 25. Please note that measurements may vary by size. Suit up in the Pro Fit Short and push your workout to new heights. The women~s specific design and pattern allows the tight to better fit the female body. Four-way stretch body fabric helps to keep you cool and dry by pulling moisture away from the body and transporting it to the surface for evaporation. UPF 40+ fabrication protects your skin during outdoor activity by blocking harmful Ultraviolet A and Ultraviolet B rays (UVA and UVB). The Support Web provides targeted support to the lower back, core, knee joints and surrounding muscles for greater stability and power. 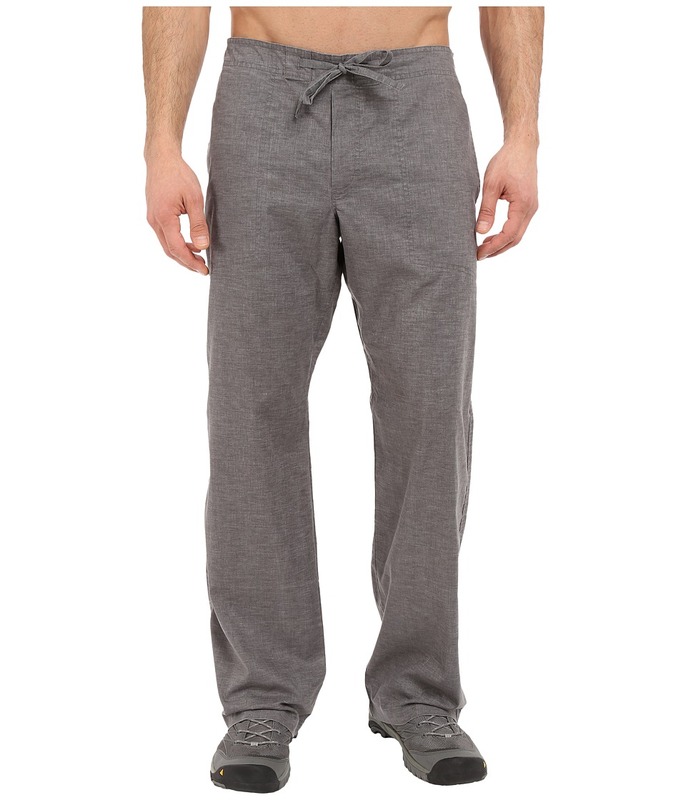 Double-reinforced waistband with interior drawstring provides a comfortable and secure fit. Abdominal support panel for increased core support. Flat seams reduce chafing and increase comfort. Reflective elements provide increased visibility in low-light conditions. Body: 80 percent Coolmax polyester, 20 percent Lycra spandex. Support Panel: 80 percent nylon, 20 percent Lycra spandex. Machine wash warm, line dry in shade. Imported. Measurements: Waist Measurement: 24 in Outseam: 12 in Inseam: 4 in Front Rise: 8 in Back Rise: 12 in Leg Opening: 16 in Product measurements were taken using size MD, inseam 4. Please note that measurements may vary by size. Beachside style has never been so easy than in the Phantoms sandal from Reef. 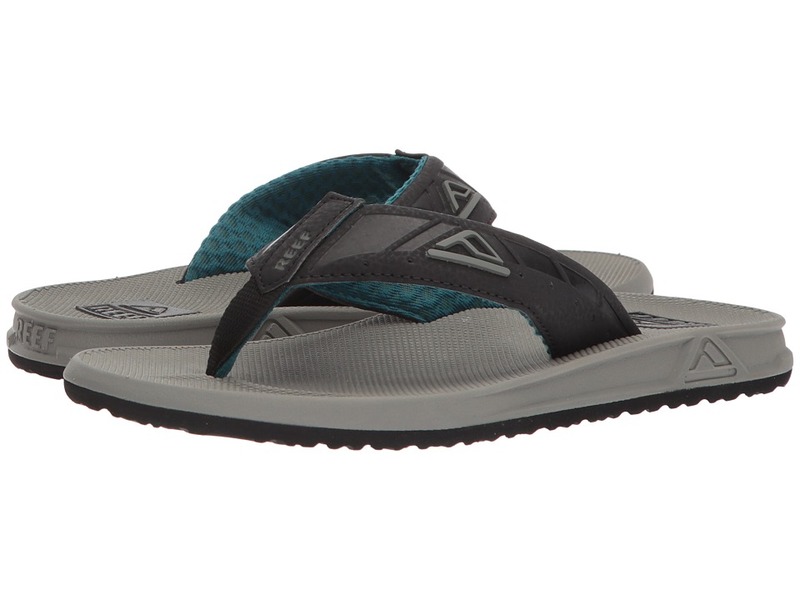 These Reef sandals have a soft, comfortable, water friendly synthetic nubuck upper with air mesh lining. Contoured compression molded EVA footbed with anatomical arch support. Durable and grippy molded high density EVA outsole. Measurements: Weight: 6 oz Product measurements were taken using size 7, width D - Medium. Please note that measurements may vary by size. Weight of footwear is based on single item, not the pair.